Valentine’s day is around the corner and you must’ve already started seeing 💕💖💞here and there. For all the love (and dread) that this day brings, consumers are expected to spend more than $20 billion this year*. And every brand wants to have a slice of that profitable cake. Consumers are no longer buying gifts just for their partners. They may buy gifts for close friends, parents, pets(! ), or just for themselves. Tip: Say goodbye to the cookie-cutter rule. Leverage user intent to discover which group of your users needs attention (or discounts) and which group will purchase without your interference. The Food Tech industry is a silent benefactor of Valentine’s Day. Ordering red velvet cupcakes and heart-shaped cakes will never get old (and we hope that doesn’t change). Tip: Understand customers’ preferences: do they usually order for one, or two, or four? 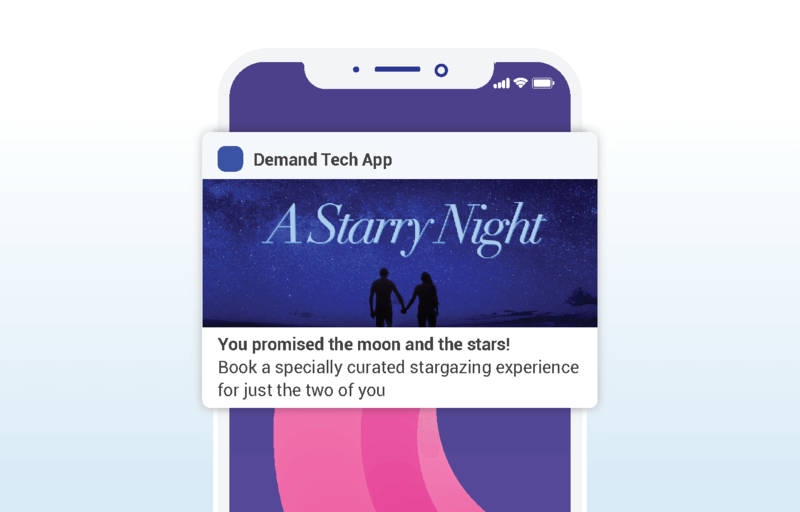 Segment your customers and send personalized offers to them. While some still appreciate the classic gift of flowers and jewelry, you may want to broaden your horizon. One example: millennials today prefer gifting experiences to their loved ones (source: a dozen or so of my millennial friends!). 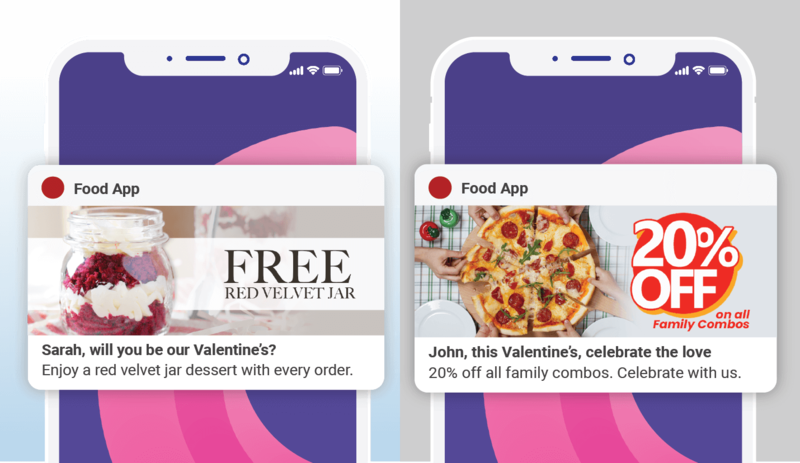 Tip: Inform your users three days in advance about the special Valentine’s Day experience you’ve crafted for them. This gives them an opportunity to incorporate your special offers into their plans. It can get repetitive if you’re continuously reminding users to stay healthy or to make healthy decisions daily. 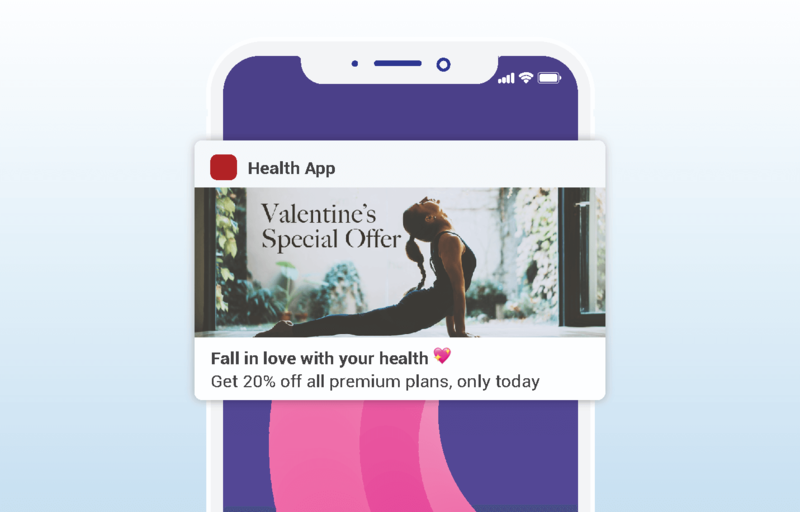 Valentine’s Day is a great opportunity for the HealthTech industry to smoothly and creatively convince customers to invest more resources into their health. Tip: Offer users attractive, but time-bound offers to get them to engage within a set time frame. Valentine’s is the ideal excuse to make weekend getaway plans and create memories with your loved ones. Tip: Targeted messaging always helps! 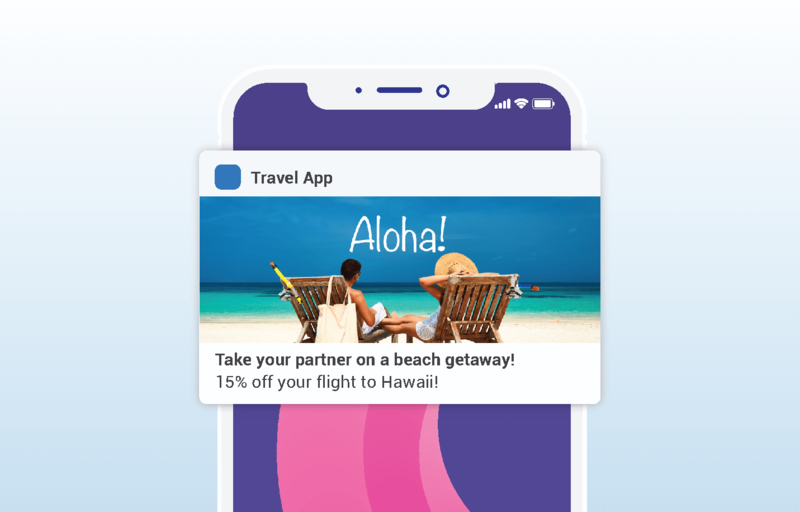 Which user segment can make last minute plans easily? Send these users a compelling offer and drive those conversions. A classic movie could be the perfect, cozy end to a night out (or a delicious home-cooked dinner). 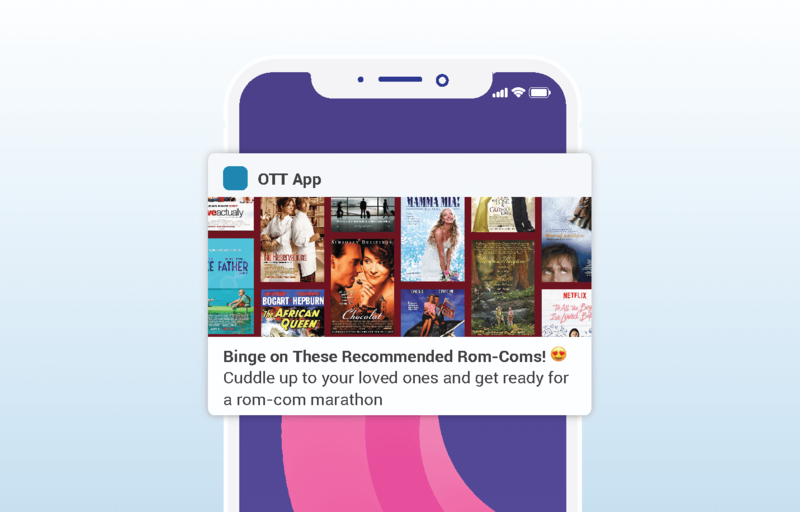 Over-The-Top content apps, AKA streaming apps, can answer this need for an entertainment binge immediately. Tip: Create a specially curated list of movies, sitcoms, or documentaries for your customers. And if you’re up for it, change the in-app interface to look more romantic than usual. Send compelling offers to customers who like attending events or visiting attractions nearby. This is the perfect opportunity to invite them to step out and enjoy a date. Tip: Use past-behavior to segment your users who are more likely to attend live gigs over movies. Send relevant notifications accordingly. 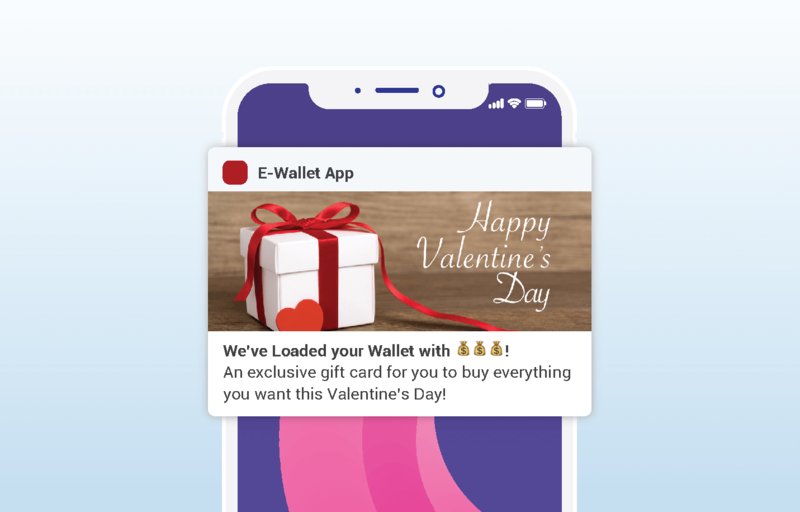 The E-wallet industry can also actively partake in Valentine’s Day promotion. The idea is to encourage engagement. Tip: Give inactive users gift cards and encourage them to transact using your app. 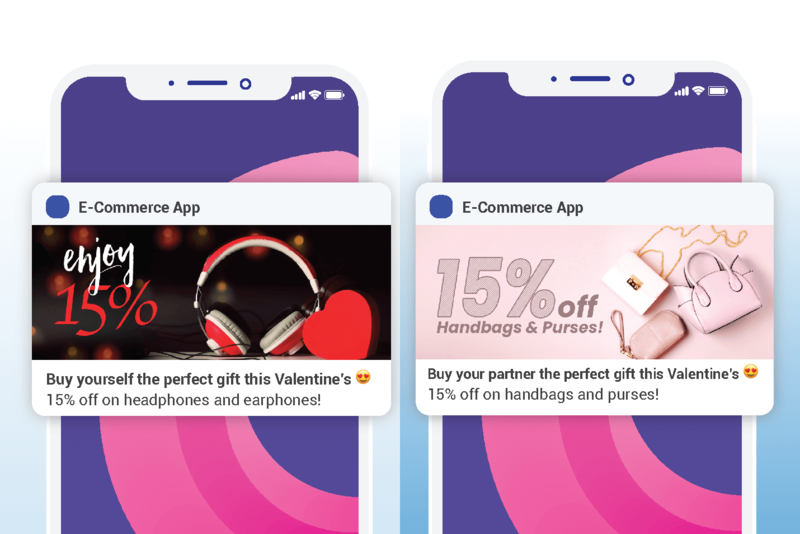 Valentine’s day is a great opportunity for marketers to re-engage with their users. The point is to use this (or any other event) as a reason to communicate with your users and reaffirm the value of your app in their lives. And don’t forget to use control groups to understand how your Valentine’s campaigns actually perform and to measure your campaign’s effectiveness. Need More Push Notification Templates? 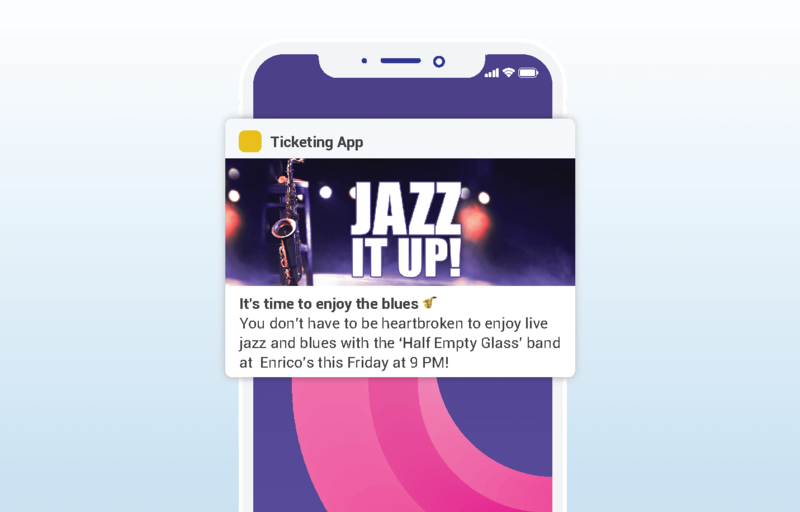 If you’re looking for an easy way to generate push notifications, we have templates for you to copy/paste and customize! Download the free Grab-and-Go Push Notifications Templates! 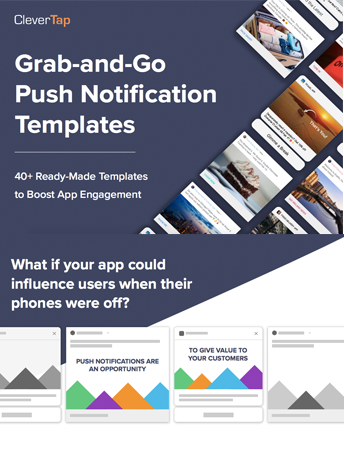 40+ ready-made push notification templates with suggestions for rich media and pre-designed calls to action.